1. In the Craft workspace, select the Plan menu. 2. 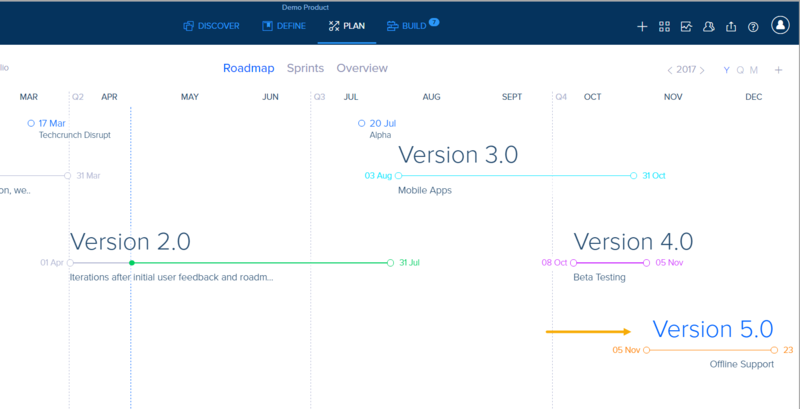 Select the Roadmap view. 3. Click the '+' sign on the right side of the screen, and select Create Version. 4. Enter the Name and Description of the Version. 6. Select the Start and End date of the Version, and click OK.
7. Click Add to add the Version to the roadmap. Note: Your newly created Version will now be displayed on your Roadmap. 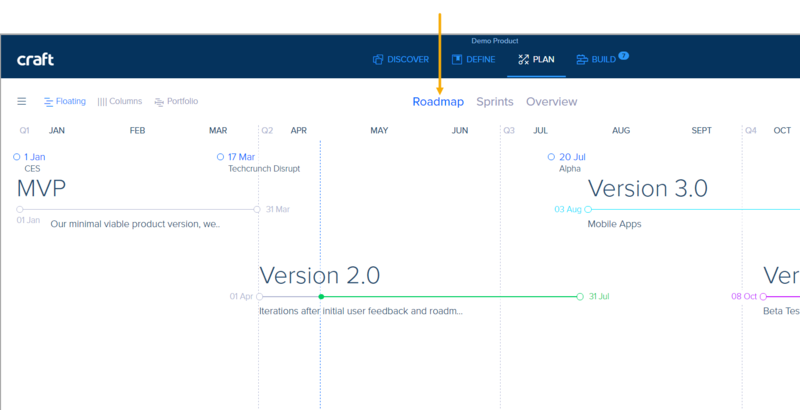 Now that you have your Versions on the product roadmap, you can start creating and assigning Goals/Initiatives directly from the Version popup. 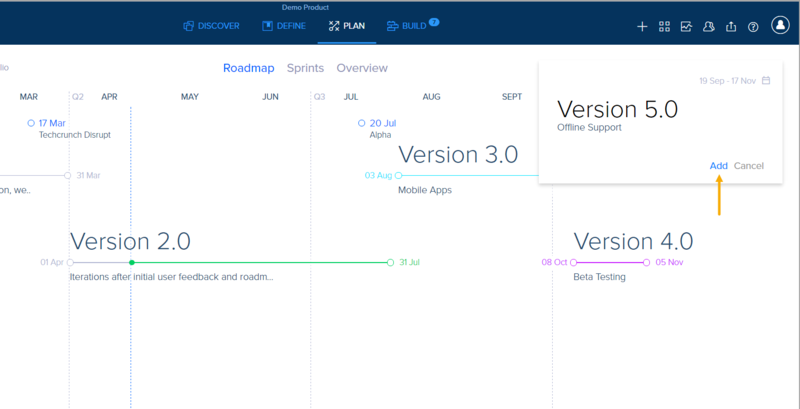 You can also assign Themes, Epics, and User Stories from the Version popup or from any other screen.